My closest "everyday" friend in Austin is in the ICU. We are all waiting to see if God will spare her life here or if he will take her home. 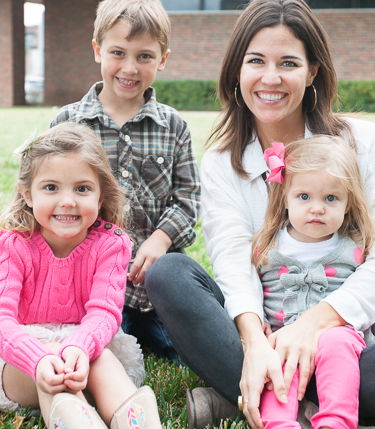 It's unthinkable... three beautiful young kids and in the midst of a difficult divorce. She has had multiple strokes over the last several days. Will she live? And if she does live- will she ever be the same? Today we wait as fears toss around in our heads, that we dare not speak. God, evil bows to you and yet it seems to be flooding us. And this darkness bends to somehow reflect your glory but oh the cost feels so high. I walk in the front doors of the hospital several times a day... I walk past a small statue that I’ve never noticed the dozens of times I have bounced in to see new moms with their healthy babies. It’s an image of You. You are draped on a cross with nails holding you there. Maybe you forgot she has a 2 year old that won’t remember her. You forgot she is the best mom and her kids adore her and need her. You forgot she’s already suffered enough and depends on you for her every breath. You forgot she makes us all laugh more than any other friend we have. You forgot that so many people love her we can’t fit in waiting rooms. Maybe we forget that we see days and you see eras. We see a friend and you see your child. We see sickness and death and you see our never-ending unimaginable life. We see a waiting room in mourning and you see Sarah and me in 10,000 years laughing and cutting up together at your table. We see 3 children without their mama and you hold their souls and see just how to press into them. I have forgotten nothing. And I am not passive about My approach to this problem. I deal. I deal with this sickness and pain and death. I do not forget. I bleed out for this. So as you walk past me on that cross, Jennie, into a room that feels out of control and full of suffering... don’t see a weak, distant, forgetful God. You see a God who tells oceans where to stop and a God who tells evil where to stop. You see a God who bleeds out for those we cry for.You see a God who suffered first. I am with you. And I have a plan here. Beg and Praise God with us for our friend, Sarah Jane Henry. You can follow her journey here.